OpenText eDOCS and Content Server Specialists. As one of the select few Premier Partners for OpenText (formerly Hummingbird, Inc.), Matrix Logic Corporation is focused on providing customer solutions for electronic document management to law firms, corporate legal departments, government agencies and businesses of all sizes. We offer services for software installation, system upgrades, support, training and project planning. We also provide custom software development for integrating OpenText software with third-party applications. Matrix Logic consultants are widely regarded as experts in electronic document management. Our consultants are all Certified OpenText eDOCS DM Professionals (CHP) with extensive experience in systems integration and administration. Currently, MLC provide services and support to over 500 clients with more than 50,000 users worldwide. With technical resources on both the East and West Coast, Matrix Logic is the worldwide leader in the production of eDOCS DM add-on products and administration tools. 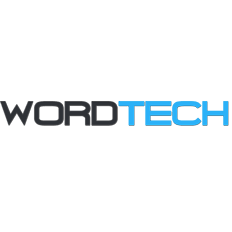 These utilities were developed as a result of our real world experiences in installing, administering and maintaining eDOCS DM products and make the task of systems administration easier and less time consuming. Enhance business processes and systems. Convert information captured from different systems into a single document. Share information in a format that is safe, secure and universal. Collaborate by adding notes and comments to documents. Solve everyday problems associated with managing paper and electronic documents and forms with its innovative solutions software. Matrix Logic is an authorized reseller of DocsCorp Software products. KwikTag is a patented system that moves paper to the digital world, quickly and easily. 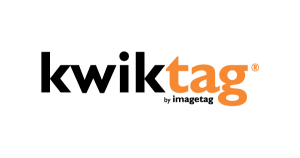 KwikTag works in the front office using a familiar process and common office equipment to easily bring paper documents in to your document management or accounting system. Matrix Logic is an authorized reseller and implementation partner of the KwikTag product. Perfectus is a leading provider of solutions in the fast-emerging market for Operational Document Compliance. Operating on top of leading Enterprise Content Management (ECM) infrastructures, Perfectus is the perfect fit for Contract and Compliance Management, Human Resources, Sales and Purchasing functions, Corporate Legal and Accountancy and industry regulators. Matrix Logic is an authorized reseller of Perfectus solutions and provides software integration for eDOCS DM. BarTender is the world’s leading design and print software for labels, barcodes, cards and RFID tags. Running stand-alone or integrated with just about any other program, BarTender is the perfect solution for almost any on-demand printing or marking application, including: labels, print and apply, direct marking on parts and packaging, encoding smart cards, sign production, and much more. 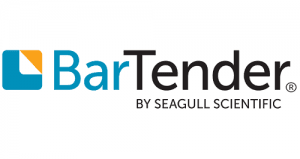 Matrix Logic is an authorized reseller of the BarTender Label Software from Seagull Scientific. Docminder is a cost effective and versatile task management solution that works with your existing email system. Formpipe Intelligo is the provider of Contentworker Document Management Suite for the legal market and other document and email intensive environments. Contentworker is based on MS SharePoint and includes Document Management, Email Management, Knowledge Management and Contract Management. The solutions can be used separately or integrated together. Contentworker’s web based interface makes it easy to deploy, update and administer, and the interface uniquely works from inside the native SharePoint interface, allowing uFsers to take full advantage of all the available collaboration, social and calendaring tools therein. Formpipe Intelligo was founded in 1995, and today hundreds of customers rely on the solid expertise of Formpipe Intelligo’s solutions worldwide. Matrix Logic is an authorized reseller of HotDocs from HotDocs. LegalAnywhereConnect enables law firms and corporate legal departments around the world to share, collaborate and communicate with clients anywhere, anytime, on any device with an intuitive user interface. This customizable solution seamlessly integrates with leading document management systems, Active Directory and Microsoft Outlook Calendar. It includes secure file sharing, granular rights & permissions, watermarking controls, custom workflow and real-time communications that extend the reach and availability of your law firm to your clients. CryptoMill Cybersecurity Solutions provides advanced, innovative data security solutions for enterprises, professionals and individuals. 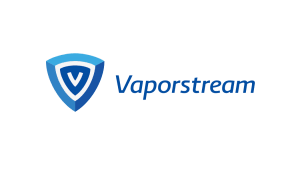 The technology used ensures that protection follows your data wherever it goes. Your data remains secure across devices & platforms. CryptoMill solutions follow Privacy by Design and the GDPR regulations, making them on par with government standards. EzeScan PRO is a professional production batch scanning and document image import tool capable of delivering impressive productivity gains. This cost-effective document scanning solution (no volume scanning restrictions) is easy to use and comes standard with image enhancement features, image annotation and redaction/FOI capabilities. Numerous output image formats can be selected including TIF and text searchable PDF, PDF/A. EzeScan PRO supports a large range of scanner hardware including multifunction devices. Optional data capture, automation, and EDRMS integration modules are available to further extend the functionality and productivity of your scanning workflow.